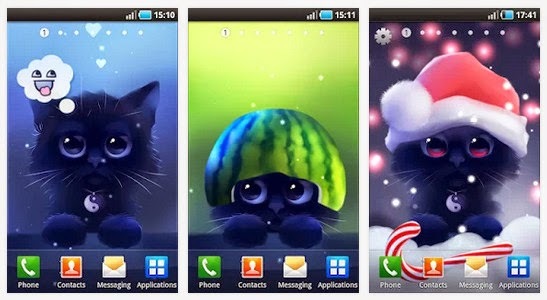 Yin The Cat (version 1.2.6) has been voted the cutest live wallpaper on the market.. for cat lovers! The furry thing is so cute any Android user would want to have it, even if you hated cats! Merrry Xmas guys!! Yin The Cat is animated and interactive cat on your home screen! Yin The Cat live wallpaper features the black cat Yin which is filled with a lot of new options and features to play with! Pet, shake, poke, change and customize on your hearts content. Yin is also complimented with lots of fun innovations and more intuitive use! Tip: Use Google Chrome browser or Firefox for Android to access and download from Apkradar.